Whether you decide to watch this film or not depends a lot on your taste in cinema. Director Yorgos Lanthimos makes films that would generally be categorised as ‘weird’. 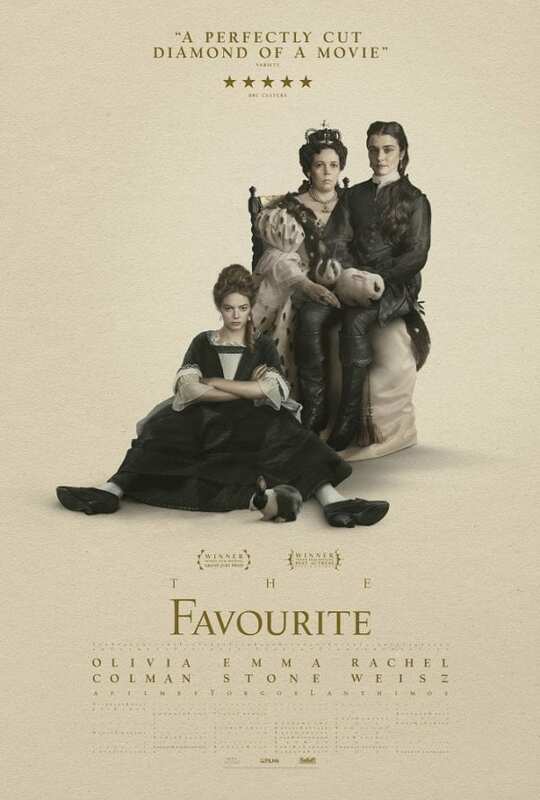 And while The Favourite is weird, it does not feel off-putting. If you have seen some of the director’s earlier work such as The Lobster or The Killing of a Sacred Deer, you will know what is in store. Even if you are not familiar, what you will get is a fun film that features some excellent acting and technical brilliance. The film is set in early 18th century England and focuses on a rather unique love story. It revolves around Queen Anne and the two women vying for her attention. The script evolves into a love story that is unusual but entertaining. What follows is often hilarious and a touch emotional here and there. In many ways this is the first light-hearted film of Lanthimos that I have seen. But even here, there are some shock-inducing moments. These will not make you turn away in horror but might make you smile at the wickedness of it all. Though we have seen many period films that depict the English monarchy, the world that Lanthimos builds feels different. When the beauty of the British landscape is contrasted with the slight absurdity of the plot, it makes the film stand out even more. Speaking of the landscape, this is an area where the technical excellence of The Favourite really makes an impression. We get to see some absolutely gorgeous cinematography by Irishman Robbie Ryan. He is brilliant at evoking a sense of royalty. There’s really no other way to put it. Some of the shots will remind of you of the imagery seen in Stanley Kubrick’s Barry Lyndon. The three women on whom the story focuses are all given their own space and time to show off their acting chops. But the best performance of the film belongs to Queen Anne, played by Olivia Colman. Her character’s mix of vulnerability, innocence and royalty is fascinating to watch. As for Rachel Weisz and Emma Stone, both bring their A game and it makes the film that much better. The changing dynamics between the three of them highlights the power of love and our need to feel loved. As for any flaws, your likes and dislikes when it comes to film will play a big part here. So, I would say that you give The Favourite a chance and who knows, you might end up liking it. It is ultimately a film about power and love and to be honest, I loved it. I hope you do too.